Mast support for a 1920’s yacht. This steel support needed to be recovered with leather before the support legs were restored by the owner. Straps were worn out so replaced with new. This lovely, well used gun case with its new straps. 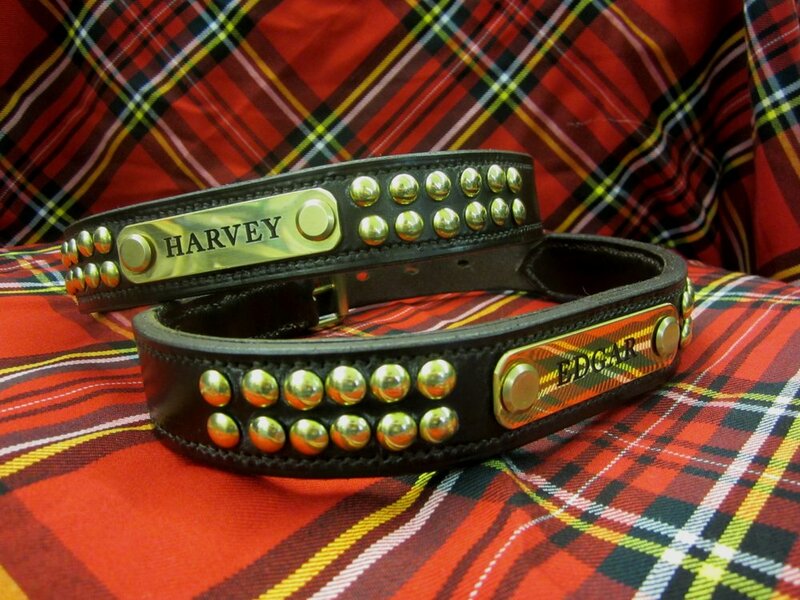 These were made as copies of some treasured well-worn collars. The lovely engraved nameplates are made for us by a local company. This lovely battered case from a scope was given a new lease of life and is now regularly used for wildlife spotting trips in the Scottish highlands. An elderly gentleman commissioned this belt as a replica of one that had been made for him on one of his many sea voyages by a fellow mariner. These straps were commissioned by the restorer of a vintage Bentley to replace the existing worn bonnet straps. 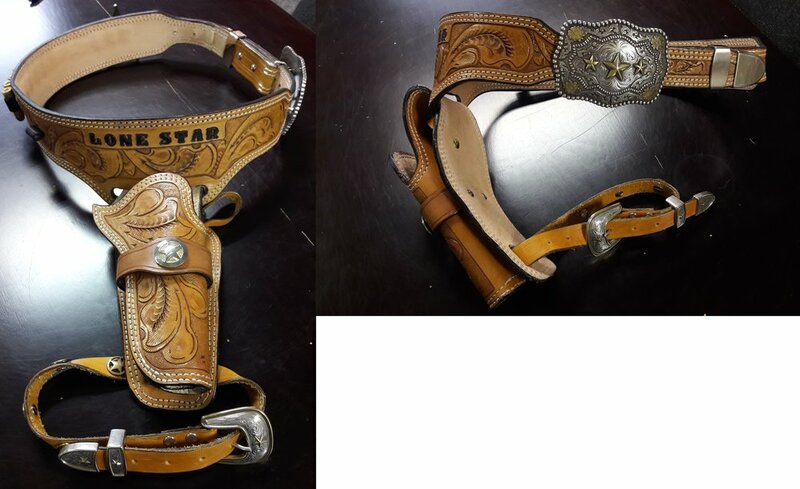 This lovely C&W rig needed a bit of adjustment..
We have carried out a number of adjustments including added a new legstrap, altering the belt length to realign the buckle in the centre and adding depth to the holster.